These books are DRM protected, but people are buying them. As a consumer with money to spend, you have several devices, but instead of fragmenting your ebook collection, you're free to use the device you prefer. So far so good. Later this year, we will be introducing lending for Kindle, a new feature that lets you loan your Kindle books to other Kindle device or Kindle app users. Each book can be lent once for a loan period of 14-days and the lender cannot read the book during the loan period. 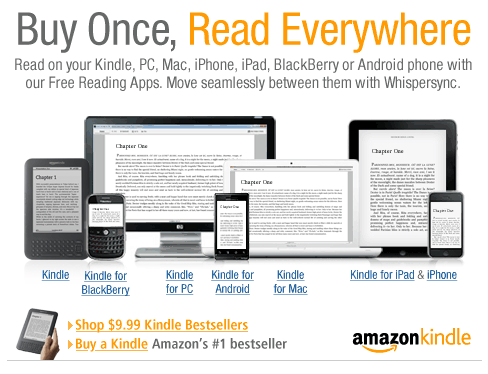 Kindle is approaching frictionlessness. If your product's DRM doesn't take away hundreds of years of comfortable use cases, but in fact adds something to the value proposition ("fit all my books in my pocket"), consumers are more than happy to adopt it.